Mastering the group meetup can be tricky. Here are a few ways to ensure your next one is both productive and organized. Question: What's one best practice for running a successful Meetup-style group for entrepreneurs? 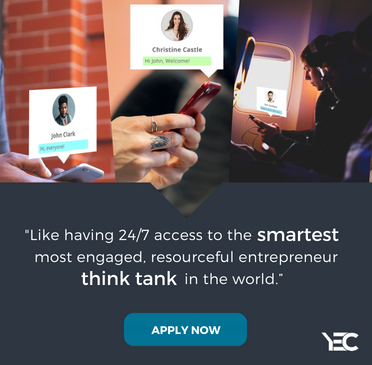 "Entrepreneurs are excited to be part of something that is growing and becoming grand, so tap in to those desires by helping us create relationships with other dreamers, people we can share with, learn from and with whom we can explore new possibilities. Focus less on being cool and more on being human." "I love meeting people, but I'm horrible at remembering names. If everyone has a name tag, then it's much easier to make introductions and build relationships. Bonus points if you encourage everyone to include his or her Twitter handle, business name or "I'm interested in..." as well. " "It's the best way to invite someone to see what your meetup is all about. Plus, it's a nearly instant way to make it valuable for them. The audience hears what they're working on, wants to hear more, and suddenly, there's a family of people there every time." "Start every meetup with an explicit statement that everything shared within the group should stay within the group. Knowing that the discussions are confidential can help founders open up and share their real problems, such as running out of cash or dealing with a difficult employee. And they can learn from the entrepreneurs who have gone through these situations before." "Get to your venue early, and make sure everything is in order. This includes making sure enough seating is available and ensuring that all audio/visual equipment works properly. One of your goals in running a meetup is to impress, and if the meeting encounters a hitch, you're unlikely to achieve that goal." "Create the culture you're hoping to have for your group at the first event. Do this by stacking the room with your contacts who know what you have in mind, and let the word spread from there. I run several such events, and by doing this very thing, I've been able to grow them exponentially both locally and around the country -- all true to the same values and mission. " "Many people join communities because they attend an event from that community. Once they do, the organizer needs to work to keep them there. Providing a clear mission statement and adhering to it is essential in growing and maintaining the community. If the goal is education events, don't just do happy hours. People join because of what you offer up front, and keeping that as a baseline is key. " "There's nothing worse than having a meetup with no direction. Groups that don't have focus will fizzle and die very quickly. This can be through the form of talks, events, etc. If you give everyone something to talk about, it creates an environment of learning and meaningful connections, which is ultimately the purpose of a meetup."